I cannot install the drive on my computer because I need a password from my school. Can I still get the fonts and templates? 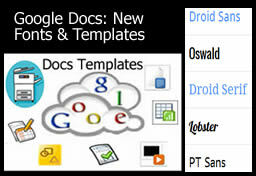 If you can't install the Google Drive folder without a password, you can still make enough progress to be able to access some of the features, such as fonts, but you won't be able to quickly back up your files to the Google Cloud until you install that folder.When viewing your list of Google Docs, click on the icon at the top of the page to Try Google Drive. You will then see an option to skip installing the folder. After you click on the icon you will notice that Docs is now called Drive in the navigation bar. 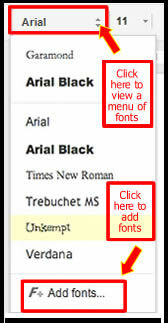 You will then be able to add fonts when you open a new document.The templates are available to anyone with a Gmail account, regardless of whether you have switched to Google Drive.Hope this helps! I just downloaded Google Drive but it put all of my Google Docs on my computer. Some of these are personal files and I don't want them saved on my work computer or server, hence using Google Docs. Is there anyway to “unlink” the two?